Uncategorized | All of This! I am fortunate that I get to spend a good portion of my summers on the magical island of Martha’s Vineyard. It is the place I am at my best. My soul gets recharged and nurtured on this spot of land off of the Massachusetts coast. There is a constant gathering of friends and family around various tables on island. This particular night happened to be my last night on the Vineyard for the summer. We were eating at my friend’s home, who also happens to be a fabulous cook. She had her family, and there was my family, and then there were more and more…the number of guests kept multiplying. Fortunately, the bounty was plentiful from the land and the sea. 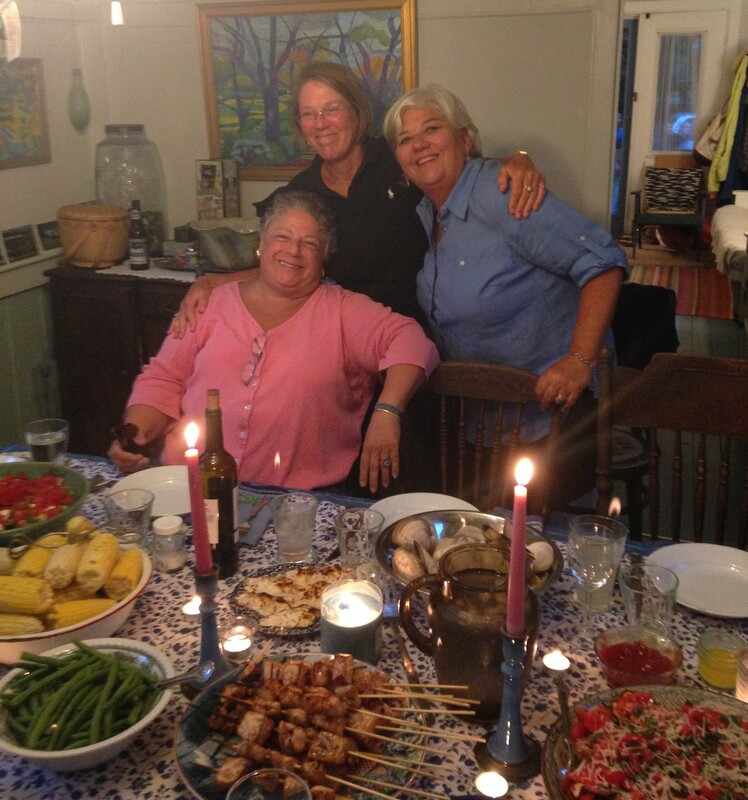 Quahogs, swordfish, “lobsta”, salads, vegetables…an endless array of deliciousness. We all found our seats and benches and poured wine and lit candles. Hannah, my friend’s daughter, looked around and then said emphatically, I love this! Her friend looked at her and questioned This? Hannah B. gestured her arms around the table and exclaimed…All of This! And All of This is so vital in our lives. Coming together, sharing stories and good food. Memory making. So here’s to you Hannah for giving me the title for my blog. May we have many more All of This! times around the table.